When it comes to the Wachowski Brothers Siblings, you never know what they’re going to throw your way next. However, you’d usually be pretty safe assuming that it’ll be strange and hard to comprehend at first, and usually something that’ll lag in your mind long after the movie finishes. Whether that’s a good or bad thing is up to the viewer, but I can’t help but appreciate this directing/writing duo and their brains. It’s usually at least something impressive on some scale or another, and Jupiter Ascending ascended my expectations, believe it or not. It’s very difficult to put the plot of this film into words, but I’ll try. Mila Kunis plays our title character, Jupiter Jones, who is more or less the “Neo” of this film. She seems like a normal human being, but in actuality – is very special and ultimately holds the secret to the Earth’s survival. In outer space, there are four groups of individuals that want her for various means. I’ve deemed them: The Hunters, The Entitled, The Un-Entitled, and the Bad Guys. I’d say half of these groups are good and the other half are bad, wanting her dead. I don’t want to get too deep into the story, just know that her living status poses a threat to their destructive plan. Well I can say one thing is for certain, this is without a doubt a product of the Wachowskis. Not only does it have that neverending mysteriously weird vibe going for it, but it also seems to be a mash-up of all of their past films put together. 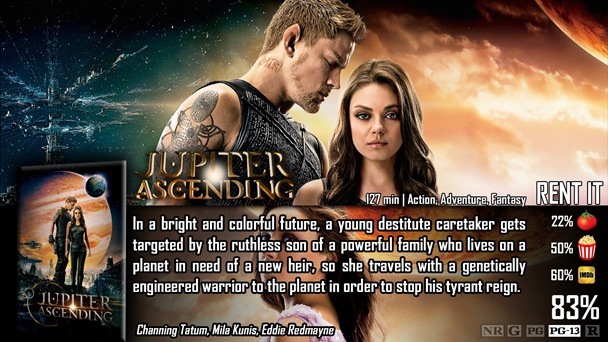 The character of Jupiter and her importance seems somewhat reminiscent to Mr. Anderson himself in The Matrix, the colorful action sequences with mixed CGI and live action may remind you of Speed Racer, and the sci-fi/reincarnation aspect of it will definitely remind you of their most recent film prior to this – Cloud Atlas. It feels like their type of movie, and I commend them on that – however, you may notice that it doesn’t have the best ratings around. In my opinion, it was a lot better than Cloud Atlas when it comes to clarity and overall entertainment value. However, it does have a lot of things going against it at the same time. People will mostly have a difficult time understand the vast arrangement of space lingo and trying to piece the history of the narrative together. Even I am still trying to figure everything out – so that’s fair. At the same time, isn’t it always a Wachowski thing to force their audience to re-watch the movie just to gain more clarity? 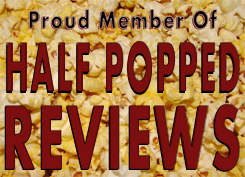 I truly think most bad reviews are judged too harshly based on first impressions. Critics don’t often like to think too much on a film if they don’t have to. If they did, however, it’s not that difficult of a story to really comprehend, because I really found myself enjoying this movie. Sue me. Watch it in 3D if you can. There’s just something about watching Channing Tatum and Mila Kunis skate/glide/fly through the city of Chicago during very wide angle shots that looked immaculate – even real. The action scenes in this film, and most of the rest of the scenes in the movie were shot and pieced together so incredibly well that I could have watched them over and over again. Even if I was totally lost during those segments, it was a blast and a half just to watch everything. Love it or hate it, this movie is impressive, you have to give it that. Truthfully, I really enjoyed Jupiter Ascending. It may be confusing at times, but that is what the Wachowskis are all about. It was pieced together really well, is just clear enough to follow – but adds a lot of mystery to gain knowledge of in multiple viewings – the action sequences were kind of insane…I just had a lot of fun with this. It’s confusing. Even after explaining most parts, you may have difficulty after watching the movie figuring everything out exactly right. Even if you are right, you might have doubts because of the jumbled nature of the film. Take that as you will. Good review Dave. I couldn’t help myself with this one, because I actually had a lot of fun.